When a 13-year-old dies, a whole community is left searching for answers. It was a Tuesday. In a dusty-orange bedroom — papered in Twilight posters and stacked with stuffed animals — 13-year-old Casey Holliday brushed her dark hair into a severe angle over her right eyebrow. She pulled on a grayish-blue hooded sweatshirt, blue jeans and black Converse All-Stars. Casey sidled into the backseat of the family Nissan Xterra. Her little sister, Sydney, 11, sat in front with their mother, Carrie Holliday. Holliday asked Casey why she didn’t have her backpack. Casey said she’d left it at school because she didn’t have any homework. Holliday could tell from the way Casey was acting that she was still upset about last night. Casey and Sydney had gotten in a fight over a cellphone. It was the kind of sisterly squabble the two were known to have, and Holliday put an end to it, telling Casey to give the phone back and go to her room. Casey stomped upstairs and spent the rest of the night in her bedroom. That morning, as the Hollidays crossed the face of the upper South Hill — from their Moran Prairie home to Sacajawea Middle School, where Casey attended eighth grade — Casey was quiet, but not any more than her usual shy and slightly moody self. At 8:30 am, Holliday pulled away as she watched her oldest daughter mix into a crowd of young teenagers and head for the front door of Sacajawea. But when her mother was out of sight, the 105-pound teenager started walking through the bright 20-degree air. She might have walked down tree-lined Grand Boulevard or cut through the weaving paths of Manito Park. She might have caught a bus headed for downtown. However she got there, by 9:30 am, Casey had traveled more than three miles and now stood on the curving, cement ledge of the 136-foot-tall Monroe Street Bridge over the river in downtown Spokane. She was thinking of ending her life. Mark and Tammy Wargnier had noticed Casey moments before, when they passed her in a nearby crosswalk. The young girl had been walking fast, and she had “one of those Justin Bieber haircuts,” Tammy says. The next time Mark saw her, the little girl was standing on the cement railing. Casey jumped back to the sidewalk and shook her head. “You’re doing a good job of it!” Tammy recalls saying. But before they could say anything else, the Wargniers saw the young girl leap over the railing, plummeting onto the rocks below. Tammy and her husband ran toward the railing, trying to get to the young girl. “I started screaming, ‘Call the cops! Somebody’s baby just jumped!” Tammy recalls. Casey was pronounced dead at 9:46 am. That was two years ago this week, but Casey’s death remains shrouded in mystery. Why would a shy girl with close friends and a family that loved her want to die? And why in public — in the heart of the city? Casey Holliday certainly wasn’t the first to end her life at the 101-year-old bridge. Over the last 10 years, at least 40 people have stood there, pondering their own deaths in plain view of passing traffic, runners on treadmills at the Spokane Club and patrons browsing books at the downtown library. Most of those 40-some people stepped down and realized they wanted to see what tomorrow, or the next day, would be like. But those who jumped have forced the deeply taboo subject of suicide into the public discourse. Indeed, experts say the region needs to start talking about the problem. Spokane has a rate of suicide higher than the state average. It’s the city’s second-leading cause of death for people ages 10-24. Suicide isn’t just an issue for Spokane, but the entire Inland Northwest. Coeur d’Alene has the highest suicide rate in Idaho, and Idaho consistently has one of the highest rates in the nation, according to a report by Suicide Prevention Action Network of Idaho. Quinnett says that every single one of those deaths by suicide was preventable. “The No. 1 cause of suicide is untreated major depression,” he says. “It’s estimated if we could just treat the depressed people and get them adequate counseling and medication, we can save 16,000 lives in America. But we can’t wait until people are standing on a bridge to talk about it. It is impossible for Carrie Holliday to talk about her daughter’s death without choking up. She still doesn’t have any answers. She scoured Casey’s journals. She read her creative writing, searching for just one character in turmoil. She talked to her friends, her teachers, a boyfriend who had recently moved away. Nothing. As a psychiatric nurse practitioner, Holliday had probably been better-equipped than most mothers in spotting a suicidal child. In fact, just two days before Casey died, Holliday had finished interviews for her Ph.D. research — studying teen suicide. Carrie Holliday, left, and her 14-year-old daughter, Sydney, inside Casey's bedroom, which has been mostly untouched for two years. Holliday wishes that Casey would have written a suicide note. Casey loved to write, and her mother thinks that maybe if she’d written out her thoughts, she might have thought critically about what she was about to do. Holliday says that police found the marker Casey used to write it in her bedroom. Was she trying to make the people around her feel better? That maybe they’d believe some mysterious person pushed her off the bridge? Or was it a metaphor: Was she trying to say she’d been pushed to this? That it wasn’t her, but some other force, that pushed her to suicide? “I’ve told myself for probably a year that she didn’t want us to feel bad,” Holliday says. Everything Holliday has learned about that final day has sounded uncharacteristic of the shy, lovable girl she knew — like a stranger was walking in her daughter’s sneakers that day. “None of it — walking downtown — that doesn’t sound like my daughter,” Holliday says. Then again, Casey was always surprising the people around her. Her best friend, Aryn Deatherage, says she was shocked when Casey showed up to school one day with dark, almost-black hair. And there was the time she came out dressed in her bridesmaid’s dress for her mother’s wedding — with black leather knee-high combat boots on her feet. “You could never guess what she would be like each day,” her sister, Sydney, says. Casey wanted to live in a big city one day — maybe London or Paris. For a while, she dreamed of being a fashion designer. She liked Twilight (the books, not the movies), gobstoppers, horror movies, Hello Kitty, Tim Burton and Oli Sykes, the lead singer in British metalcore band Bring Me the Horizon. Ron Holliday, Casey’s father, saw his daughters a few times a month since he and Carrie divorced when Casey was 3. He laughs when he thinks about taking her to a concert at the Knitting Factory. A fan of loud music, Ron was shocked, and a little proud, when he heard the band that Casey wanted to see. “I was like, ‘Oh my god, these guys are heavy! You really like some heavy stuff!’ And of course, it didn’t surprise me, because she grew up listening to what I listen to,” he says. But it was that unpredictability and spontaneity that made Casey stand out. Holliday says that there were things about Casey’s personality that were unique for a kid her age. Like her unwavering empathy for others. “I think it was maybe a little overwhelming to her,” Holliday says. Casey excelled in art and writing but struggled with math and science. After a tough start at Chase Middle School, Holliday decided to pull Casey out and tried homeschooling. “It was kind of one of those things where you kind of wonder if she got a little more attention for school, would she do better? Would she do better in math and science and have her confidence increase a little? It was a confidence issue,” Holliday says. But Casey got bored. She missed her friends. For eighth grade, she enrolled at Sacajawea Middle School. Casey’s best friend, Aryn, followed her there. Eighth grade seemed better for Casey. She liked her teachers at Sacajawea, and Aryn says they had lots of friends. No one saw a suicidal teenager in her. No one in her family, or her best friend, says Casey ever hinted at depression. Suicide is complex, though, says Lawrence Calhoun, a suicide expert and professor of psychology at the University of North Carolina at Charlotte. He points to new research that argues that a 13-year-old brain isn’t capable of rationalizing itself away from suicidal thoughts. Findings like these have been raised in the debate over juvenile justice and how best to punish teenagers who’ve committed serious crimes. In a study by Physicians for Human Rights, researchers assert that teenagers over the age of 15 can make certain decisions like an adult — as long as stress isn’t involved. “When children find themselves in emotionally charged situations, the parts of the brain that regulate emotion, rather than reasoning, are more likely to be engaged,” the study concludes. Calhoun argues that while it may have been out of character for Casey to complete suicide in the grizzly way that she did, it probably wasn’t for any other reason than access. As in the rest of the United States, most suicides here are completed with a firearm or a drug overdose. According to Spokane County medical examiner reports, 35 suicides were completed using a firearm in 2010, with drugs overdoses, hangings and jumping following. The 136-foot-high Monroe Street Bridge has been the site of at least five suicides in the past decade. The Monroe Street Bridge has known death since its earliest days. Two men were killed during the construction of the bridge in 1910, and several were injured in accidents when wooden scaffolding crumbled against high winds and when broken cables narrowly missed a dozen men. • Nathan Hamlin, a “quiet and happy” 16-yearold who argued with his mother on the night of May 5, 2006, about not doing the dishes, and who never came home after going for a walk, according to police reports. His body was discovered a day later by a woman walking her dogs along the river. • Joshua Levy, a 28-year-old man with a history of suicidal behavior. After a 20-hour standoff with Spokane Police that ended with him being tasered, he jumped off the bridge on July 27, 2007. • Dwain Robertson, an 88-year-old man. After his death, his landlord told police that she’d noticed a recent personality change in Robertson, which resulted in him being banned from her apartments, records state. He jumped from the bridge on Nov. 11, 2007. • Douglas Werts, a 37-year-old man who wriggled out of the grip of a stranger trying to help him as he sat on the railing of the bridge and fell to his death on Aug. 16, 2010. A handful of people have survived jumps from the bridge — including one man who survived two jumps. But that’s something Spokane County Medical Examiner Sally Aiken says is highly unlikely. Whether someone hits the water or the surrounding rocky banks, “it’s like hitting a brick wall,” she says. Bridges have attracted jumpers for decades. San Francisco’s Golden Gate Bridge has drawn more than 1,200 people to end their lives there since its 1937 opening. Seattle’s George Washington Memorial Bridge has recorded 230 deaths. 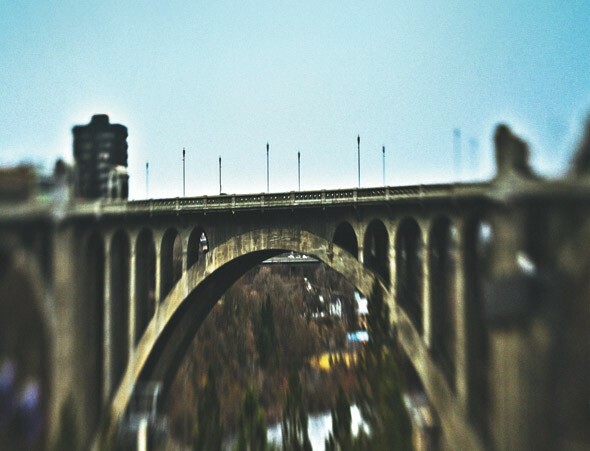 The Prince Edward Viaduct, in Toronto, Ontario, has seen more than 400 deaths. The Seattle and Toronto bridges now have tall metal fences to obstruct those wanting to kill themselves. The Golden Gate Bridge also plans to erect a barrier that will cost an estimated $40-$50 million. In Tampa Bay, Florida, a man who survived jumping from the Sunshine Skyway now advocates adding an electric rail on bridges that would shock would-be jumpers with a strong, but non-fatal, current. But conversations of suicide barriers are often controversial. Many feel barriers might only temporarily deter someone from completing suicide or, worse, make them feel even more at odds with society. Ron Holliday, Casey’s father and a local architect, says he feels strongly about seeing a barrier — a fence, a net, anything — erected on the Monroe Street Bridge. Roger Flint, who served as Spokane’s director of public works until 2006, says that talk of a barrier on the bridge never came up during the bridge’s restoration from 2003 to 2005. That renovation focused solely on making the bridge safer for its intended purpose: carrying people safely from one side to the other. That meant installing “Jersey barriers,” which protect pedestrians walking on the sidewalks from cars that might steer astray, and expanding the roadway in places where it once narrowed. Flint points to the Maple Street Bridge as a way a barrier can be erected, but says the long, tunnel-like chain-link barrier detracts from the look of the structure and the safety of the people walking on sidewalks. Flint thinks the barrier hasn’t been well-received, except among Peaceful Valley residents. Flint says that suicide barriers on bridges go beyond what he believes to be the reach of government. That line of thinking, some suicide experts warn, supposes that suicide is rational or well-thought-out, when it may be a spontaneous act of recklessness. There are few surer paths to damnation than suicide, many world religions say. Killing one’s self is forbidden under Jewish Law. Roman Catholics believe taking one’s own life is to play God. Islam also condemns suicide — believing that those who complete suicide are damned to continue killing themselves repeatedly, and eternally. Quinnett, the local expert, says notions of damnation have created unshakable societal stigmas around suicide. And because suicide is such a taboo, experts say that society is not as open about the topic as it should be. That trickles down to the way the media covers suicide. Loren Ghiglione, a professor and former dean at Northwestern University’s Medill School of Journalism in Evanston, Ill., has covered suicide during his four decades as a journalist and while writing a biography of CBS journalist Don Hollenbeck, who died by suicide. A public suicide, like a bridge jump, would merit coverage under traditionalist views — but with trepidation, Ghiglione says. The protocol, he adds, is to downplay the cause of death. Hesitation on the part of media outlets to cover such events started when research proved that putting suicide stories on front pages often resulted in copycat suicides. But today, some journalists, like Andre Picard, question the viability of such research. In a 2009 column, Picard, a columnist and public-health reporter for Canada’s nationally distributed Globe and Mail newspaper, lampooned the media for not covering suicides more often. “The policies that have been produced by media, doctors’ groups and mental-health organizations are well-intentioned but prudish and counterproductive,” he wrote. “Sure, there is some evidence that suggests media coverage of suicides can trigger copycat acts, but it’s scientifically weak. The science though is incontrovertible when it comes to showing that suicide is a symptom of severe, untreated mental illness. Let’s stop pretending suicide is something mysterious and shameful. “The seemingly compassionate rules are a convenient excuse for avoiding discussion of (and reporting on) an issue that makes us highly uncomfortable,” he wrote. He adds that social media like Facebook and Twitter have also superseded traditionalist media rules. “The things that used to be secret are not secret anymore,” he says. Audrey Cooper, an assistant managing editor of the San Francisco Chronicle, says suicide happens so often at the Golden Gate Bridge that it’s almost a non-story, most times. In 2005, though, the Chronicle undertook a seven-part series called “Lethal Beauty” that discussed suicide from the bridge. While suicides from the Golden Gate aren’t always fodder for news in the Chronicle pages, Cooper wonders what best serves the paper’s readership. “It’s difficult to find out what the right thing to do on it is. Many think [coverage] encourages more suicides, and others say, ‘You should get more publicity about this because we need to fix it,’” Cooper says. 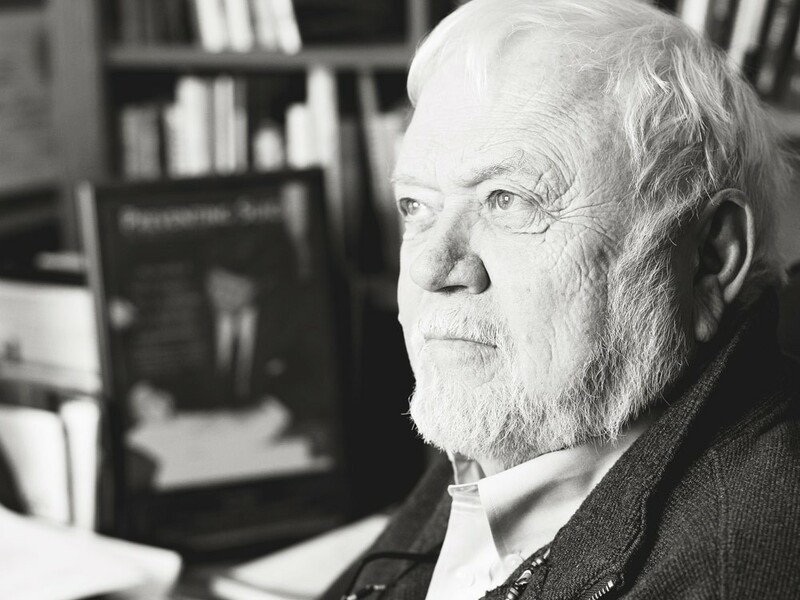 Paul Quinnett has trained thousands of people around the globe in suicide prevention techniques. He calls it QPR (Question, Persuade and Refer) and in 2011, he educated 1,200 people — from law-enforcement officers to university faculty — on how to start talking about suicide. Quinnett says communities in North Idaho have been receptive to his training, but that Spokane seems more reluctant. He says a community has to get sick of a problem in order to mobilize itself to change it. Spokane suicide expert Paul Quinnett trains people around the world in suicide prevention. AJ Sanders, a health program specialist with the Spokane Regional Health District, agrees with Quinnett, to some extent. Sanders was hired in 2002 to devote all of her time to suicide prevention programming. “Now it’s about 20 percent of my time,” she says. But Sanders says that gets more and more difficult as funding for men tal health in Washington continues to be cut. Though Spokane Public Schools hasn’t directly used Quinnett’s QPR program, Bonnie Ducharme, coordinator of student services, says their students are taught about things like stress management and anxiety beginning in the fifth grade, through a pilot program called Ride the Waves. In middle school, they start learning about signs of depression. In high school, they learn about suicide prevention. When a suicide does happen, four crisis teams are in place to respond. They work with families and students to talk to kids about suicide, and provide outlets for grieving available to students. In addition, the team calls local media and requests that they do not report on the suicides of their students. “Right after a completed suicide, to talk about that specific student, or anything that would tend to glamorize or highlight what that particular student did, that’s when it’s harmful,” Ducharme says. Wendy Bleeker, director of student services, agrees. “The students who are at risk for completed suicide will look at it as honoring the person,” she says. For that same reason, they discourage schools from popularizing any student who has completed suicide — on T-shirts or in yearbook pages. But sometimes that’s hard to control. Schools, like media outlets, have social networking and text messaging working against them. Rumors get started, and schools have to diffuse those while respecting the privacy of families. While some states have mandated suicide prevention in their schools, Washington does not. But suicide prevention has become a hot topic in Olympia this legislative session, after state Rep. Tina Orwall introduced House Bill 2366. It would require every licensed clinician — physician, counselor, hypnotherapist and naturopath — to undergo a certain number of hours of suicide prevention training. Rep. Timm Ormsby, D-Spokane, co-sponsored the bill after hearing that statistic. The bill gained momentum after the director of the Washington State Department of Veterans Affairs showed his support of the bill — especially because of the high suicide rate among veterans. “We’re going to have thousands of men and women coming back from Iraq with PTSD,” says Orwall, a Democrat from Des Moines, Wash.. But in late February, doctors showed up on the Senate floor to vehemently oppose the bill. One Olympia family physician said that the legislation was dangerous. However, the House passed the bill in February, and the Senate passed it unanimously last week. After some revisions, the legislation is expected to go to Gov. Chris Gregoire for her signature. Sitting at her kitchen table, Carrie Holliday recalls the five hours when her daughter was missing. Casey’s grandfather had gone by Sacajawea to pick her up, as he usually did. But Casey never came out. He called Holliday, concerned. Holliday wasn’t happy, but she figured Casey had gone to a friend’s house without calling first. “It didn’t start to become worrisome until 4:30, 5 o’clock,” Holliday says. That’s when she knew something was wrong. The family fanned out. Casey’s friend, Aryn Deatherage, went downtown to look for her. Her father made flyers and tried to get the TV stations to put Casey’s photo on the evening news. Holliday filed a missing-persons report with the police. "It's weird not having a sister anymore," says Sydney Holliday, now 14, seen here with her mother. It was almost 11 that night when the doorbell rang. An officer and a chaplain were at the door. They had a morgue photo. “They said, ‘We think we found Casey,’” Holliday recalls, compulsively wiping the big tears that roll down her cheeks. Casey’s death sent tidal waves of pain and guilt over anyone who ever knew her. Ron Holliday was up for nights, falling asleep only to jerk awake feeling like someone was touching him. “Nobody was there,” he recalls. “I was like, ‘Casey?’” Two years later, he still can’t drive over the bridge. Casey’s best friend, Aryn, is 16 now. She says she misses Casey most after school, when they would have been hanging out. She says she feels a little betrayed by Casey. On April 4, 2010, just one month after she died, Casey would have turned 14. Aryn and Casey’s sister, Sydney, bought a cake and some balloons and stood on the bridge. They tied notes to the balloons and let them go. Aryn threw the cake over the edge, with another note for Casey. It took Carrie Holliday almost two years to finally look around in her daughter’s bedroom. She flipped aimlessly through the pages of a binder. She still finds herself trying to put together the pieces of her daughter’s death but comes up clueless every time. Holliday believes that if Casey knew what her death would do to everyone around her, she wouldn’t have jumped that day. Across the dining room table from her own mother, Flora Bowers, Holliday recounts the better times with Casey. She talks about who her daughter was — and how she died — in hopes that it’ll help someone else. Maybe seeing how her life has been ripped apart would stop someone from thinking suicide is the only option. Maybe telling Casey’s story would save another mother from feeling like she failed. Holliday pauses — her tears falling freely. Listening to them with sincere concern for their feelings. Do not offer advice, but let them know that they are not alone. Sharing your feelings with them. If you feel that they may make a reckless decision, tell them that you are concerned. They need to know that they are important to you and that you care. Inquiring if they have had suicidal thoughts or if they have made a suicide plan in a straightforward and caring manner. If you feel you cannot ask the question, find someone who can. 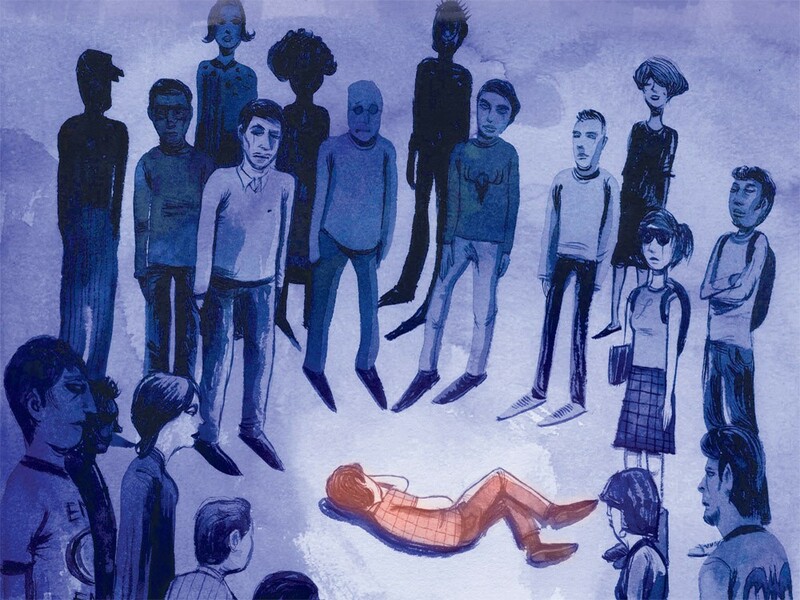 According to the National Alliance on Mental Illness (NAMI), “90 percent of youth suicide victims have at least one major psychiatric disorder, although younger adolescent suicide victims have lower rates of psychopathology.” Overall, NAMI asserts that 90 percent of people who complete suicide could have been treated for a mental or substance-abuse disorder. The Inlander takes the issue of suicide seriously, and it was only after consulting with suicide and media experts that we decided to publish this report. We hope it begins a community dialogue about suicide as a public health issue. Please send your feedback to editor@inlander.com..